In Stakeholder engagement processes collective intelligence and the ability of a group of people to generate ideas together is crucial. 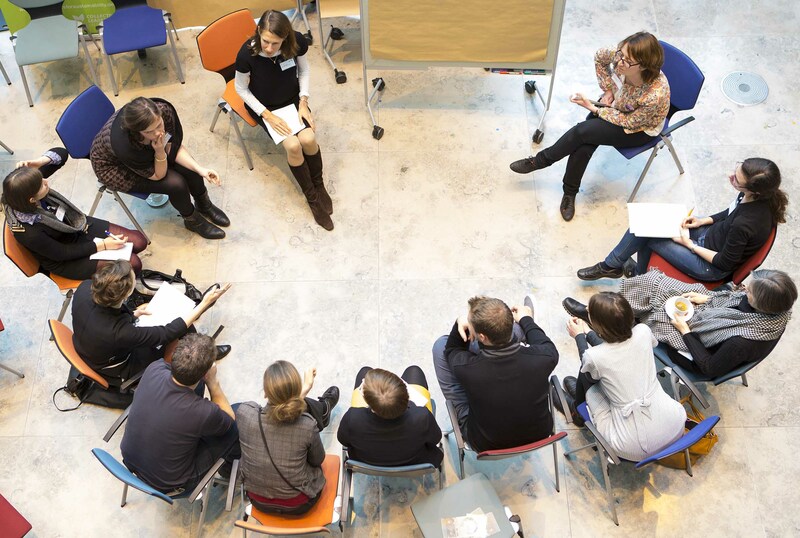 Last week we held our training course „Working with Stakeholder Dialogues“ here in Potsdam. The participants brought with them really exciting project cases, so me and my co-facilitator decided to introduce to them a little tool that would leverage their potential for generating wild ideas and positive dynamics in their change processes – the “Yes, and…” exercise. Inform the group that they get to spend 500.000 € and can go on a holiday trip. The only condition is that everyone that contributes an idea on how to spend the money has to start his or her sentence with the words “Yes, and…”. Usually at first the group starts their trip a bit reserved – the same happened last week: The group decides to travel to Egypt, Iceland and Costa Rica. But soon the dynamic started: They plan on buying a boat together, to sail to the Seychelles – and even decide to rent a whole island for a couple of days. Then round two begins, the money is doubled – with one million € the trip can be spent even more extravagant. Only change in rules is that now the sentences have to start with “Yes, but…”. Again the group started with some countries they would love to travel to – but soon disappointment spread: Scandinavia is too cold, the pyramids in Egypt overrated and not far into round two one participant even decides to go on his holiday with a different group of friends because this group is just not fun to make plans with. I like this exercise a lot as it makes people more aware of a mechanism that unfortunately is very widespread in our professional world: The “Yes, but…” mindset which blocks the creation of innovative ideas and stifles enthusiasm before it had a chance to flower. This is a great exercise to try out with your team or core group if you want to generate some new ideas, or to simply reflect on the importance of thinking in future possibilities and not in “im-possibilities”. Another tip: choose one specific day where you pay special attention to how often you use the word “but” – and try to substitute it with something more positive and encouraging. You would be surprised how your team and projects will benefit from your positive and open attitude. Interesting! Will try that at the next team meeting. Great! Please let me know how it worked out for you!